MyTime is a fully integrated scheduling, payments and automated marketing platform, specializing in large multi-location chains and franchises. Our mission critical software -- which includes in-store scheduling and online booking, client record management, email and SMS marketing, and a full point of sale for handling payments -- is used in every aspect of the customer journey. Our customers rely on their service businesses to remain competitive in the age of Amazon, and they need a next generation POS to help them achieve this growth. We aspire to be the “operating system” of their business. We also made it easy to plug our online booking, payments and messaging capabilities into the places customers are found today, including Google Search, Facebook, Instagram, and the merchants’ own websites and mobile apps. Upon adopting MyTime, our customers see average revenue growth of up to 30% through improved operational efficiency, greater customer retention, and access to new customer acquisition channels. Our product is used at over 14,000 locations across the globe, ranging from single-location sole proprietors to multi-billion dollar Fortune 500 chains. As a completely cloud-based solution, MyTime is designed for quick and easy deployments. It’s lauded for its ease-of-use and short ramp-up time, having won numerous awards such as the Best Commerce Product of 2017 from the Local Search Association. MyTime is backed by Upfront Ventures and Khosla Ventures and was founded by Ethan Anderson, a successful serial entrepreneur whose first startup, Redbeacon, won TechCrunch50 in 2009 and was acquired by The Home Depot. 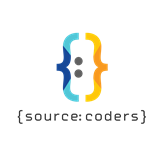 Want to get notified about new jobs at Source Coders?